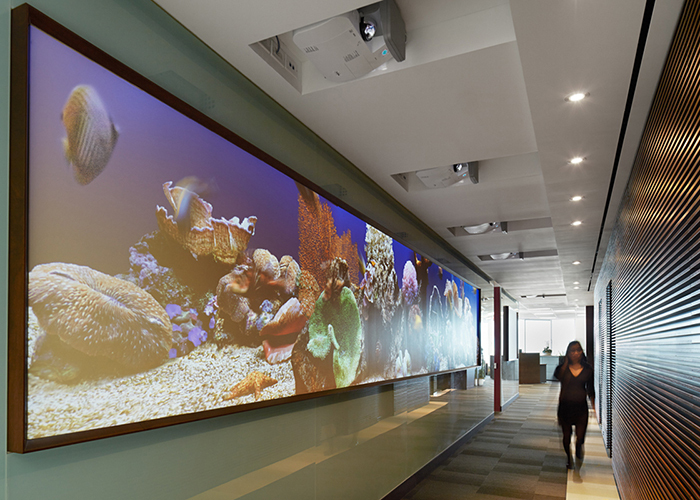 We create new ways for progressive organizations to build intelligent infrastructure and simple to use visual communication systems that enhance collaboration, productivity and the use of space. We follow a proven process that analyzes the needs of users, defines the possibilities of technology, and designs the requirements for business success: to deliver reliable, simple to use systems that enhance knowledge sharing. Real data and insights from your people ensure we deliver the right solution every time. We survey and analyze the needs of users to define how space, people and technology support teamwork today and tomorrow. 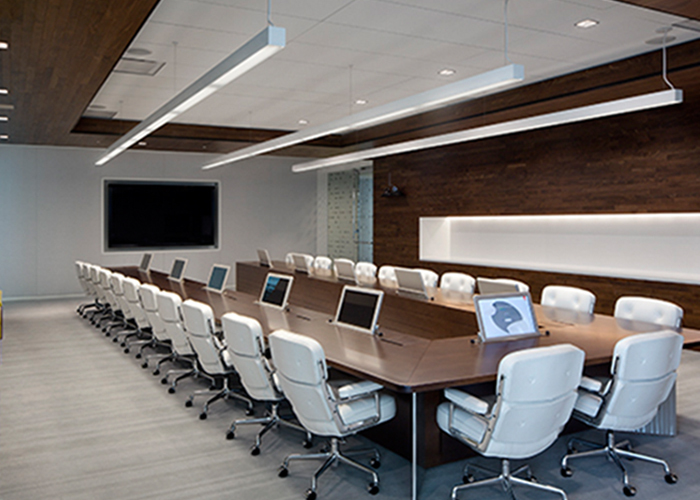 We create the infrastructure to support today’s flexible, meet anywhere workspaces. Intelligent design ensures that your network and system are easy to manage and ready for cost-effective future expansion. Seamlessly integrated. hitplay provides simplified control of presentations, audio and video conferences from one intuitive touch interface. Trusted technology that supports all the ways your teams work and performs day in day out. 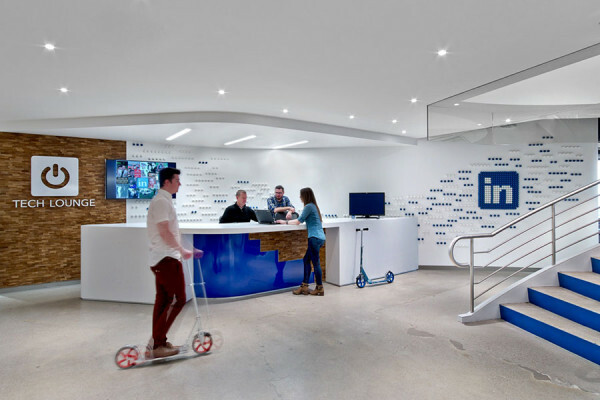 A leading social networking firm was looking to create a collaborative workplace, one that supported it’s mobile workforce. 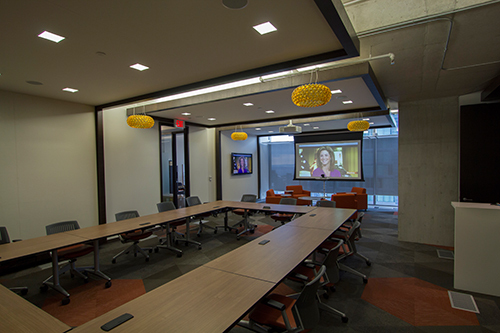 The primary objectives included increasing accessibility to video conferencing and presentation technology in formal and informal meeting spaces, as well as a video enabled multi-purpose space for townhalls with their Silicon Valley headquarters. 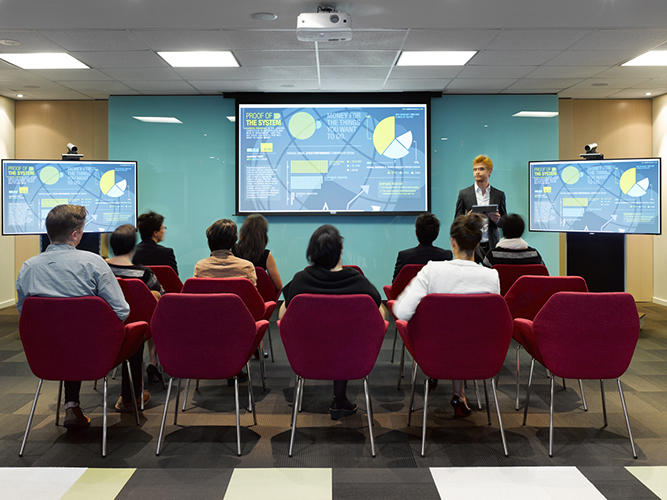 hitplay implemented a communication infrastructure, supported by fixed and mobile meeting systems that enabled presentations and video conferencing in informal areas and traditional meeting rooms. 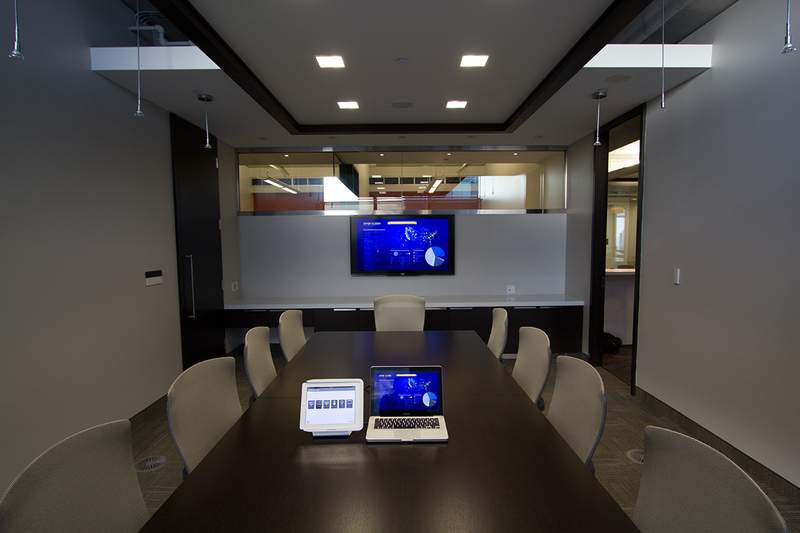 As a result, meetings/presentations and video conferences can be hosted anywhere. The plan featured a tailored training program to ensure all employees were equipped with the knowledge and confidence to work smarter with technology. As a result, presentations and conversations are no longer restricted to the meeting room and the new collaborative way or working is being embraced by the organization. 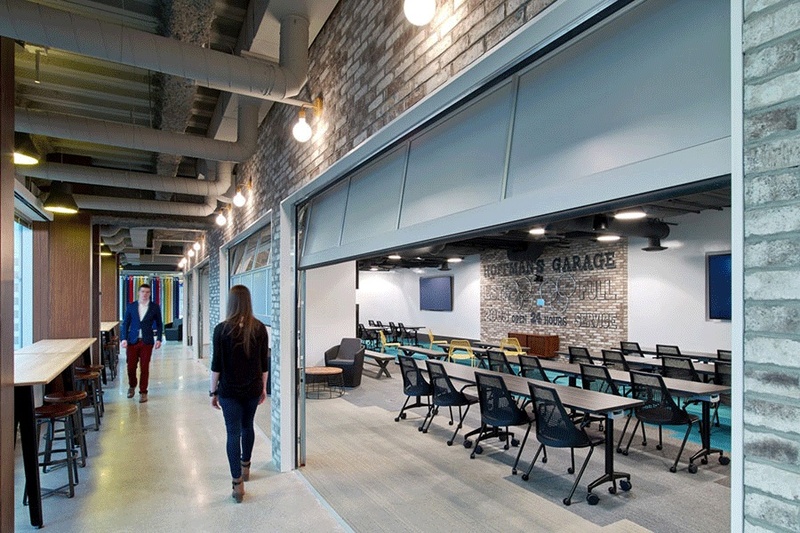 The result, a cost-effective infrastructure and connected workplace that makes greater use of their investment in technology and space. Mathews Dinsdale Clark LLP is a leading practitioner in the areas of labour and employment law. 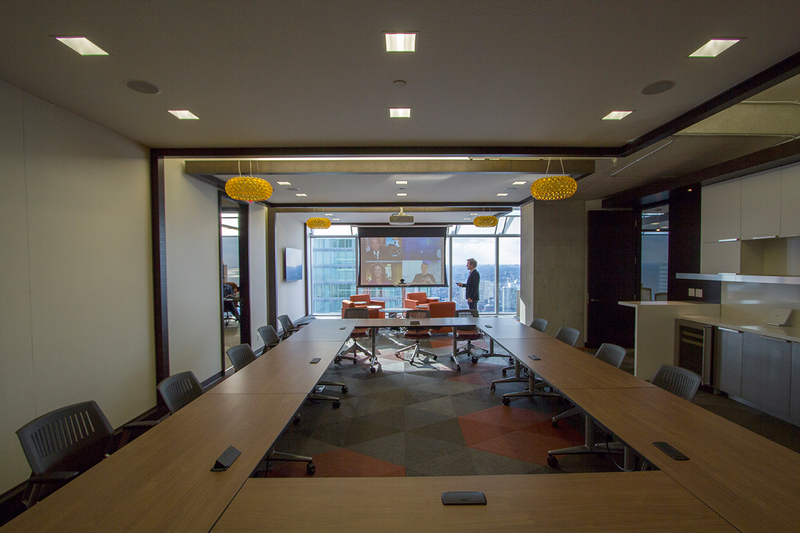 The firm was expanding and looking to adopt video to collaborate with their Vancouver counterparts, and support partnership meetings. 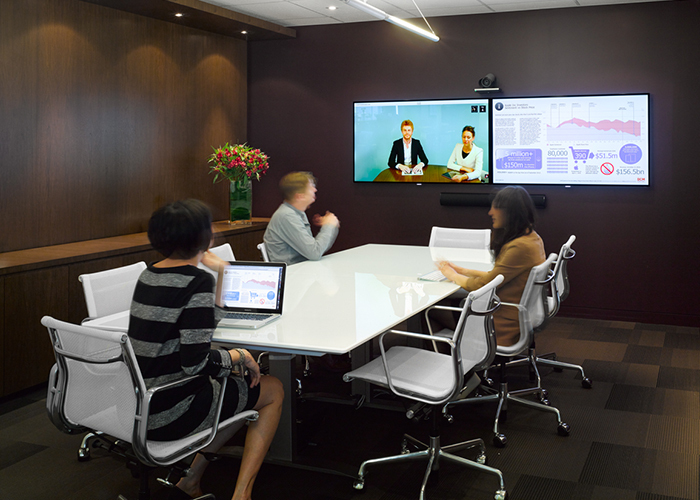 To deliver on the objectives hitplay decided to create a flexible video infrastructure, one that supported a mobile HD video conferencing system, which could be shared between the multi-purpose space and adjacent meeting room. The intelligent infrastructure not only reduced project costs significantly, but it also enabled them to adopt video at their own pace. Partnership meetings and collaboration with Vancouver could now be done in crystal clear HD video enhancing the experience while managing costs. The entire system, including lighting, blinds, audio and presentations are easily controlled by hitplay’s intuitive interface on iPad’s. The implementation was supported by custom super user and end user training to ensure that everyone was equipped with the knowledge to leverage video to work smarter. The firm is already looking at additional use cases to expand usage in the practice. A leading social network that is rapidly expanding looked to hitplay to implement a video infrastructure that would make video the ‘way we communicate’. The business benefits were obvious; more frequent face-to-face communication to strengthen relationships, enhance knowledge sharing and speed decision making. The solution however, was not. Through an in-depth understanding of the people, their business process and the various workstyles; hitplay developed the plan to get there. Making video accessible to everyone, whenever needed, was essential to reaching the tipping point for change. 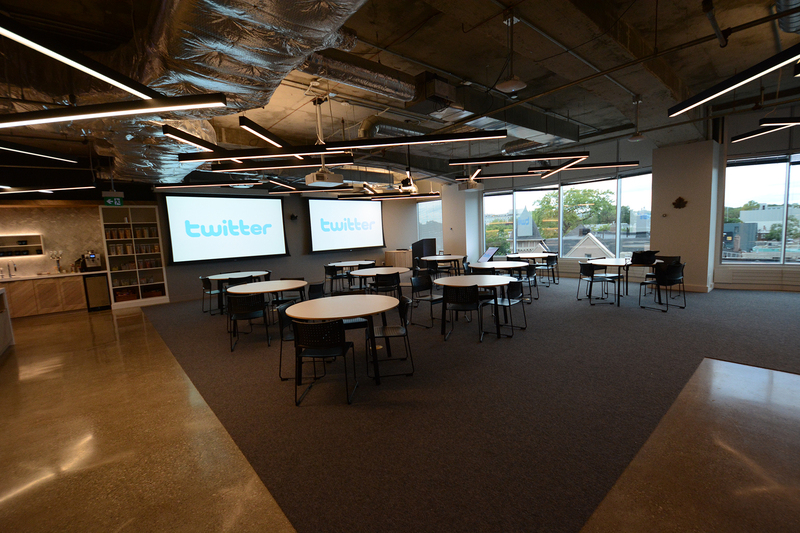 The plan included an analysis of the optimal number of video rooms per user. With the full support of management and the IT/Facilities team, hitplay implemented the standardized video network that made video accessible and simple-to-use for everyone. The results, video is viral. 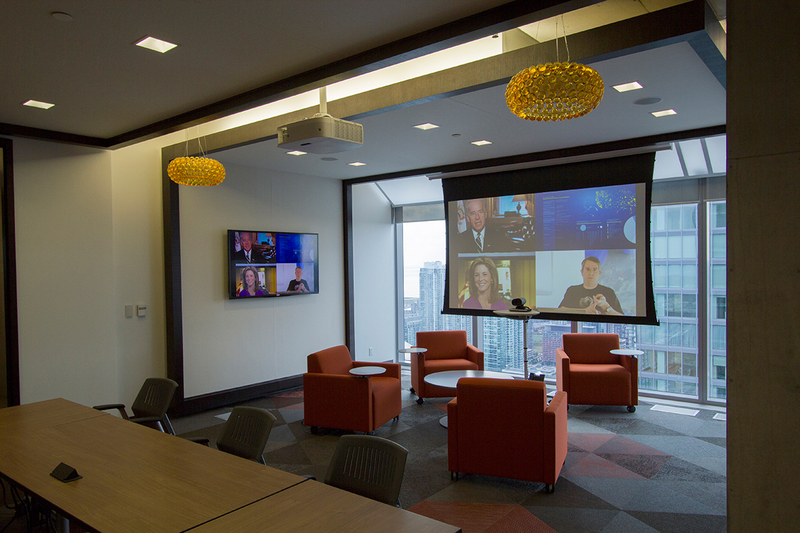 The business has grown exponentially since and more video rooms are being added to support the new way of communicating. The connected workplace assessment. A proven process that surveys and analyzes the needs the users; providing real data and insights that define how space, people, and technology support teamwork. 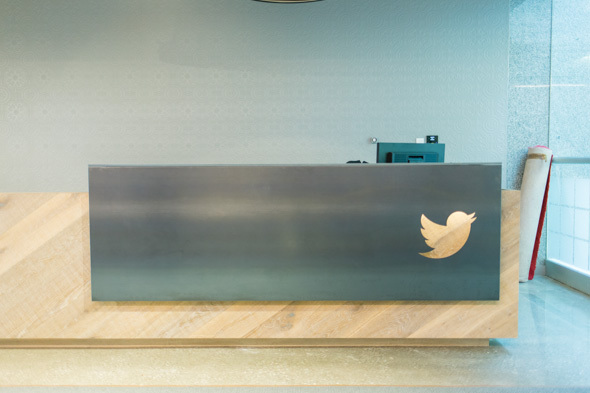 User-Centered + Flexible. Design the infrastructure and communication systems for today’s mobile workforce and budget, while enabling cost-effective future expansion. Be Operationally Excellent. Anticipate. Collaborate. Communicate. Integrate with the highest standards and test rigorously to deliver dynamic, reliable integrated systems. Accelerate Adoption + Manage Change. Be a coach to build internal champions and develop capability by providing interactive training that focuses on targeted use cases. Provide Best in Class Support 24/7. hitplay Care provides preventative maintenance and on-going support for the system, network and users to maximize system uptime. Become a Working Partner. Work with the business to manage growth and enhance business processes through custom applications and tailored training.